Here are some of the updates that I have made for the first quarter. I have found ways for you to follow the three blogs. I have split the Post List tab into three; I have created two more tabs- the Mathematics tab with all the math posts and the Multimedia tab for all the multimedia posts. The All for Free tab has been transferred here. I will be hosting the 10th edition of the Mathematics and Multimedia Carnival. To submit your articles click here. I am looking for new hosts. Those who have hosted before are welcome to host again. I am happy to announce that our application to establish the GeoGebra Institute of Metro Manila (GIMM), Philippines has been approved last September 27, 2010. I, together with Erlina Ronda of Keeping Mathematics Simple, will lead the institute. The aim of GIMM is to provide training and workshops to Filipino mathematics teachers on how to use GeoGebra, develop curriculum materials that integrates GeoGebra in teaching school mathematics, collaborate with teachers in integrating GeoGebra in the classroom, and perform research on the effects of GeoGebra in the teaching and learning of school mathematics. 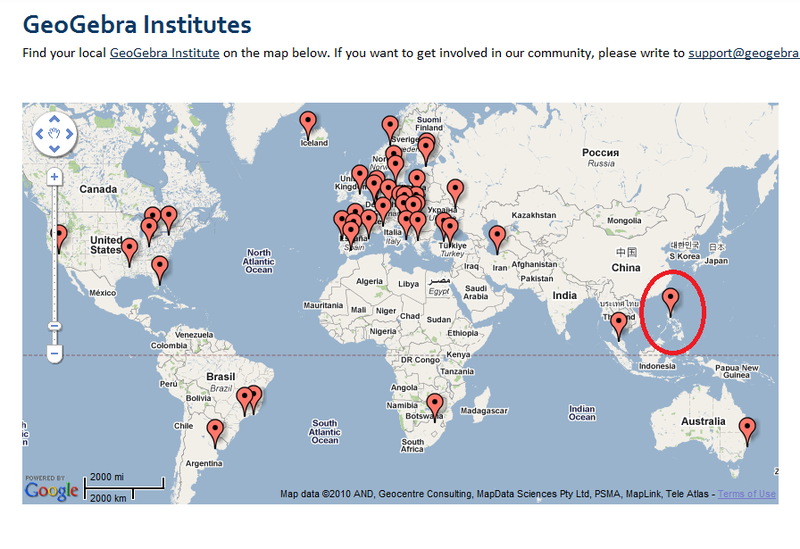 GIMM is the first GeoGebra Institute in the Philippines and the third in Southeast Asia. All Filipino GeoGebra users are encouraged to join the institute. If you are interested to join, contact me at mathandmultimedia@gmail.com.